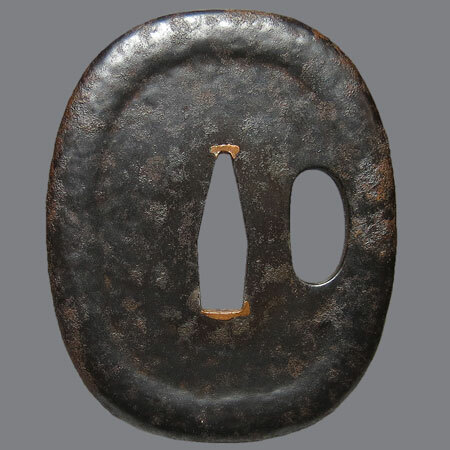 Tsuba is made by an artist belonged to the Umetada school branch located in Edo. These artists were the ones who often signed their work with the picture of ume flower instead of the kanji 埋 (ume). 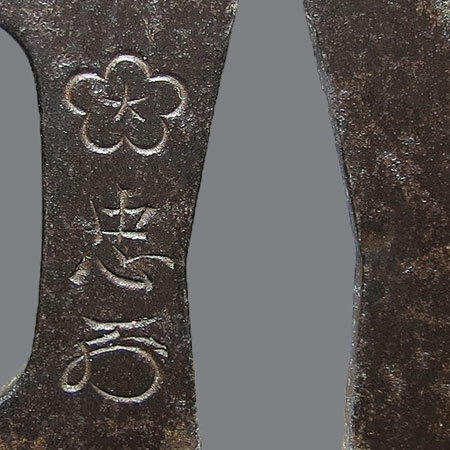 Inscription: 埋忠 (Umetada) and kao. Umetada school. 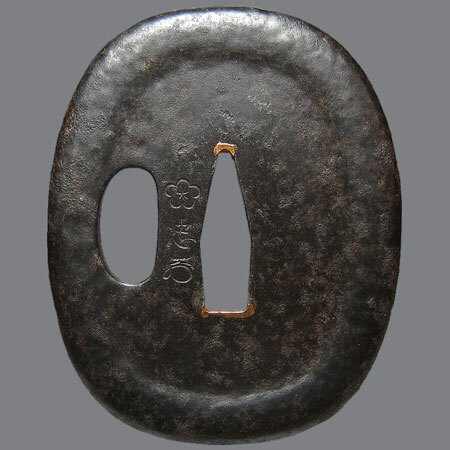 Nagegaku gata, dote mimi; 6,9 х 5,6 x 0,3-0,5 cm.